See my review of Isle of Arran distillery’s 10-year product here. Arran’s 10 year-old is full of bright, tart fruits and mild malty sweetness. It’s always interesting to see what an additional few years (in this case, 4) in oak casks does to a whisky – you’d expect more oak in the form of caramel/butterscotch or vanilla, and for fresh fruits to taste dried or jammy. You also look for resin, leather, dust, and other notes that result from new compounds forming from the longer aging. Like the 10 year, the 14 is non-chillfiltered and non-colored at 46% ABV. Since the distillery fired up its stills for the first time in 1995, the current 14 year-old bottling represents whisky that was made within the first 3 years of production. It’s kinda cool to think about drinking a whisky that was truly an unknown quantity – an experiment – when it was made. There was no old Arran around to emulate or reproduce when this was crafted. Nose: Pine sap. Leather. Dusty dried orange. Lavender (potpourri). Palate: Not as creamy as the 10 year-old, but somewhat caramelly and warm. Candied orange peel. Becomes more tart towards the end. Finish: Medium-long. Some tartness, with sour cherries and pie filling. No bitterness! Nice balance between oaky caramel and dried fruit. Overall: Good whisky on its own, but in comparison to the 10 year it’s mostly a novelty. 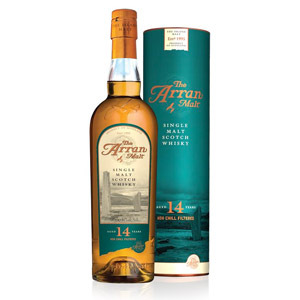 If you love Arran 10, you’ll obviously enjoy Arran 14. If you’re looking for a deal like the 10 year, though, you won’t find it here. 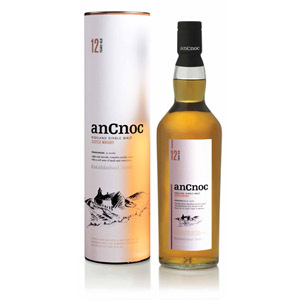 This price point means it’s competing with the likes of Lagavulin 16, the better Glenmorangies, and a whole swathe of stand-out malts in the 14-17 age range. This particular bottle just doesn’t stand up to the competition, and probably should be $10 to $15 cheaper. Very cool you reviewed the 14 right after the 10. I haven’t tried it yet and value your tasting notes highly. It sounds quite nice, but I take your point about the value equation. Thanks, Josh. I never like to rate a whisky badly, but this just doesn’t taste like a $70 whisky to me. Oban 14, for example, is also small-output, and 14 year old, and is arguably better (more refined, less eclectic), and is substantially less money. Arran 14 was on offer for ~$50 here in Oregon for a little while (the OLCC stocked up on Arrans and has since been trying to dump a lot of them), which seemed like a competitive price given what it has to offer. However, Arrans just seem to be expensive in general as their NAS cask finish whiskies are also up in the 70s. 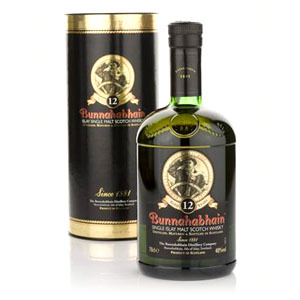 Too cap it off, I prefer the 10 year as the 14 is just a bit too uncomplicatedly sweet, without some of the countervailing elements found in its younger sibling that make it a more interesting dram. I actually had a different experience tasting the 10 and 14. I found the 10 to be a little rough while the 14 was much brighter with clearer fruit, refined citrus, less alcohol on the nose, and all around more complexity. I greatly preferred the 14 to the 10 (this is not considering price/value). That being said, neither one excited me too much or would inspire me to pick up a bottle, but this is probably a reflection of my own tastes more than anything else. Hey Tom, always good to have an alternative opinion. 🙂 I must have just missed you at the tasting. I think this makes sense, you rated the 10 higher than the 14. But by the time they were making the 10, they had several years to tweak their recipe and process. Where as the first few years (which is when the 14 was made) were really beta sessions. 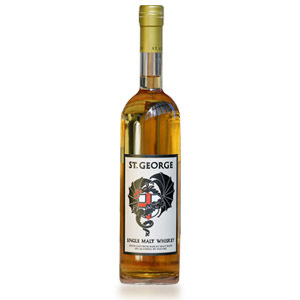 I bought this bottle about a month ago, on sale from the Newfoundland Liquor Corporation for a clearance price of $51.51, down from $62.42. The NLC does not carry products based on whether they are good or not. The NLC stocks the products that sell. Most customers don’t do a lot of research, though, and go by vague word of mouth or something they’ve tried at a friend’s house. I saw this bottle on the NLC website at this reduced priced and looked it up on several websites, including this one. It got generally positive ratings, with this review being the least enthusiastic that I came across. I waited until I had finished a bottle of the supurb blend Te Bheag before opening the Arran 14. I’ve recently finished bottles of the Glenlivet and Highland Park 12. Currently working on Laphroaig Quarter Cask, which is my favourite. But this Arran makes me melt. It is delicious. 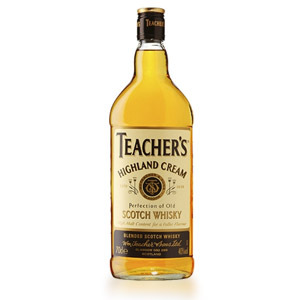 I find nothing off-putting about it at all, and it is in fact the most more-ish Scotch I have tried to date. There are 7 bottles left of this in my city – I think I’ll have to pick up another to put away for a future spot in my whisky rotation. I think the prices we pay for Scotch here in Newfoundland are a bit steep compared to other places, but for $51, the Arran 14 is a great buy – so much so, that I’m buying a second bottle to hoard. Eve at $62, this bottle would end up justifying its price for me, because I know that when it’s gone I will miss it. Very nice drink. Thanks for sharing your experience, Gerard! I’m glad you enjoyed the Arran. A good example of why trying things out for yourself is always better than reading reviews, when the option presents itself. Cheers! Thanks for that review. The 14YO just hit the shelves here and I think I will pass at a 83$ price tag. The 10YO was 50$ and I would almost say underpriced, it was just that good. The problem is that quality, affordable malts just vanish from the shelves, no 10YO to be found anymore. Love the 14 yr Arran, but not the 10 yr. I had a bottle of the 10 a few years ago and found it pleasant, but felt there were others as good for less money. Recently bought a bottle of the 14 in the new purplish livery for about $72 w/tax. This I really enjoyed, much more than the 10, but I haven’t picked it up again due to the availability of less expensive options. I probably will, but I’m enjoying Oak Cross right now, along with Russell’s Reserve Single Barrel, which are about $46 w/tax. That said, I found it a very good whisky, I just wish it was a bit less expensive. At $50-55 if buy it regularly.